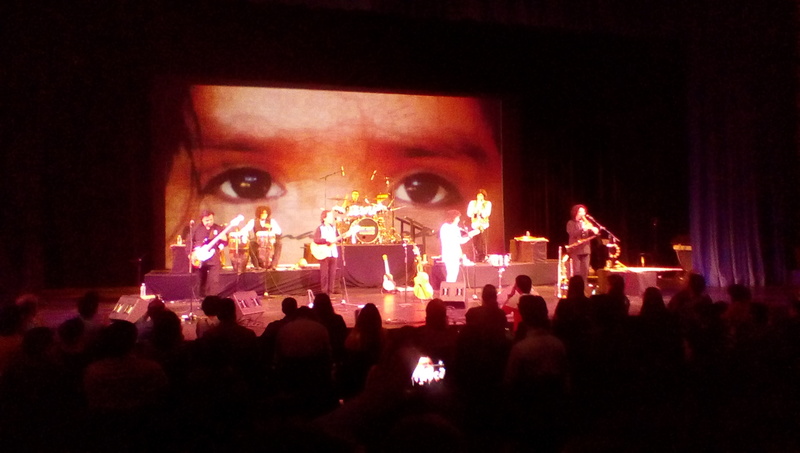 In an evening of dedicated to trailblazing singer-songwriter Violeta Parra named after what is arguably her most celebrated songs, rapper Ana Tijoux opened the proceeding accompanied by an acoustic guitarist, opening with a stripped-down version of “Sacar La Voz,” a tune originally recorded as a duet with Jorge Drexler, following that with “Mi Verdad,” a poignant tune on the class differences in her native land – a growing problem all over Latin America. She closed her short set with “Antipatriarca,” a feminist statement against machismo around the world whole lyrics say “you will not humiliate me/you will not shut me up/you will not oppress me” during the chorus. 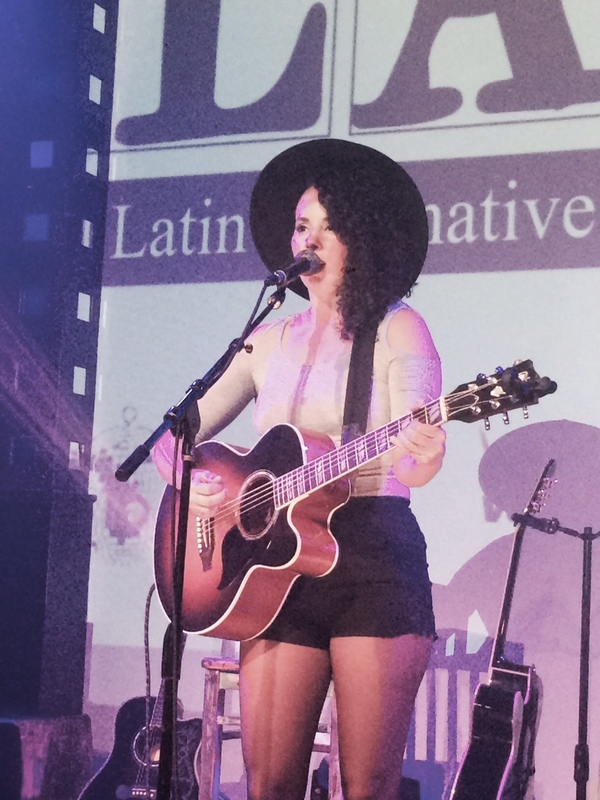 Tijoux adapts well to a more intimate setting – she presented a similar set during the acoustic showcase at the 2014 Latin Alternative Music Conference acoustic showcase, singing with a more melodic feel, taking advantage of the empty spaces to give a fuller vocal delivery. 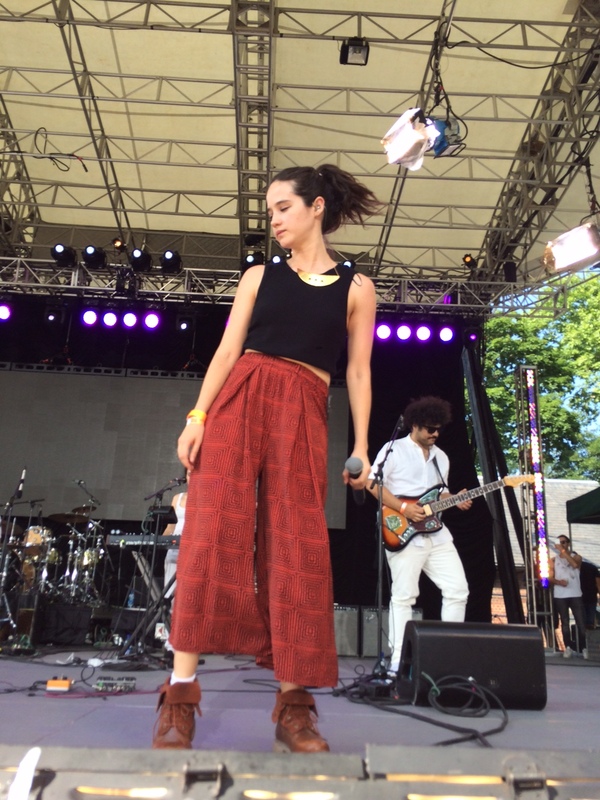 Backed by a three-piece group (guitars, percussion), Colombina Parra took to the stage with no introduction, playing a set of psychedelic-inspired original songs with no apparent reference to her aunt. Her music was quite aggressive and electric. She didn’t seem too eager to connect with the audience, and the only time she did have any interaction was when she interrupted one of the tunes to briefly introduce the band. Her music seems to come from various influences – one song had a Bob Dylan-esque quality, and another ended with a cacophony of sounds that reminded me of the Beatles’ “A Day in The Life.” Her stage persona was, however, a bit off-putting. 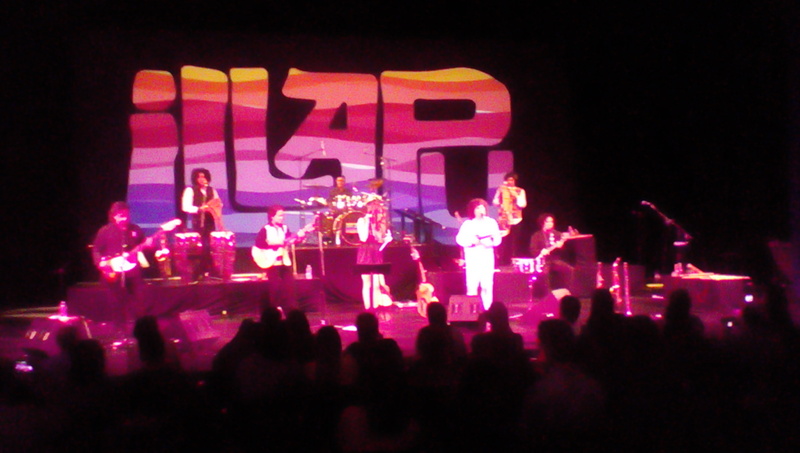 After a short intermission the six-piece Illapu (pronounced ih-lah-PUH) began with an uptempo Andean number. 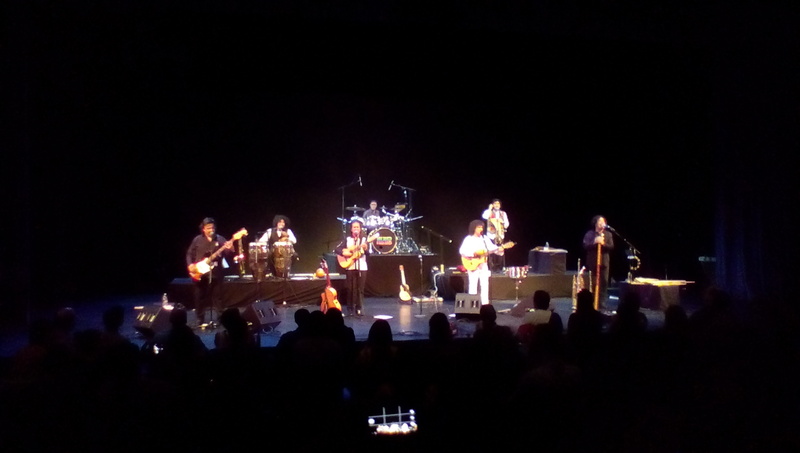 The sextet often switched instruments, often playing with different pan flutes, charangas and regular guitars in addition to percussion and bass guitar. Their set included songs by Parra and also by Victor Jara, the composer and singer tortured and murdered by the Pinochet regime in 1973. The group, however, does not dwell in sadness but celebrates the music of the harsh times that eventually led to the entire band being exiled from their home country. 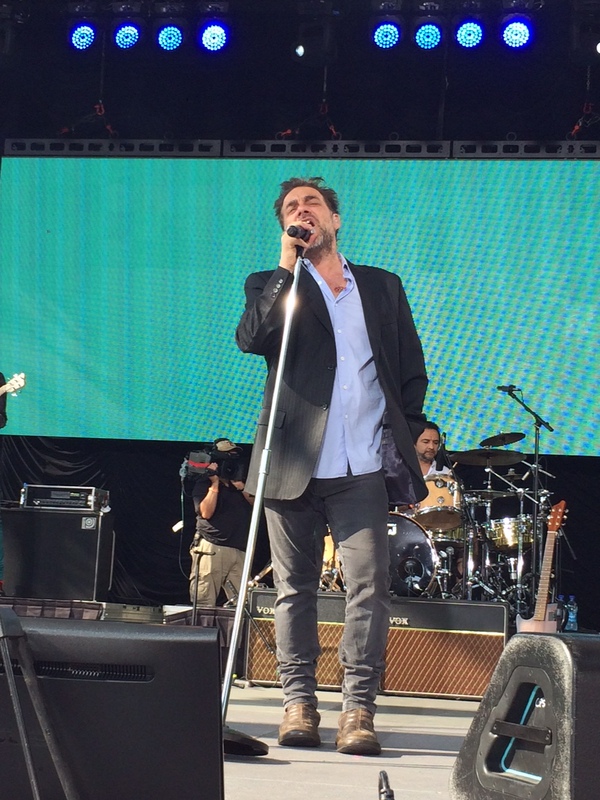 In fact, one of the most celebrated songs of the set was “Vuelo Para Vivir,” a song that talks about their return to Chile with footage of the group being received in Santiago airport to hugs and tears from fans and family members. Colombina Parra was invited back to the stage to sing lead on “Gracias a La Vida” with Illapu. She read the lyrics as she sang (to the surprise of many in the audience – the song is very well known throughout Latin America. They closed with “Arriba Quemando Al Sol” with Parra on lead vocals and very tight four-part harmony vocals from the group. Michael Jackson might have been a controversial figure as a man due to his eccentricity and sometimes bizarre behavior, but nobody can deny his musical genius. Jackson was a performer and songwriter who entertained us for decades beginning with his early years as a child performer with his brothers all the way to the glories of albums like “Off The Wall,” “Thriller” and “Bad,” to name a few. Since his untimely passing in 2009, countless tributes and posthumous recordings have surfaced (including a gorgeous collaboration with Queen), but few of these – especially when we talk about tributes – have done justice to the music. I mean, Sheryl Crow did a nice job with her 2010 recording of “I Want You Back,” but did she really come up with anything new? Which brings us to “Unity: The Latin Tribute to Michael Jackson,” (Universal Latino) a project spearheaded by Peruvian-American producer and arranger Tony Succar, who brought together a team of performers to recreate some of the music with a salsa-inflected tinge. I found it to be a very interesting album after listening to it a couple of times. I wasn’t too crazy about Kevin Ceballo’s interpretations of Jackson’s tunes because he came a bit too close to the songs’ creators original enunciation, but I must admit that he does find his voice on “Black or White” as he improvises around the melody, which ends with a tongue-in-cheek homage to The Beatles’ “Hey Jude.” I also fully enjoyed “Sera Que No Me Amas,” an up-tempo version of “Blame on The Boogie” that had me busting moves on the street. The band formerly known as Panal S.A. de C.V. (a Colorado-based trio formed by Enrique Jimenez, Juan Carlos Flores and Israel Jimenez) defines itself as an experimental instrumental band, but I see them as more than that. 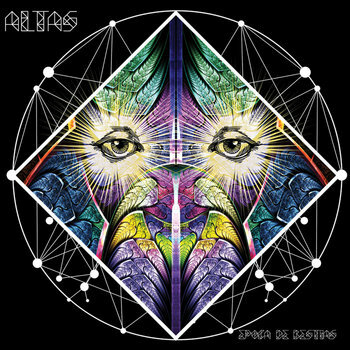 Their songs could easily lend themselves to extended jams that could go beyond the confines five or six minutes of the seven tracks on their (sort of debut) EP Época de Bestias. The album kicks off with “Altepetl,” a distortion-heavy rocker reminiscent of the early days of Black Sabbath with a touch of psychedelics. 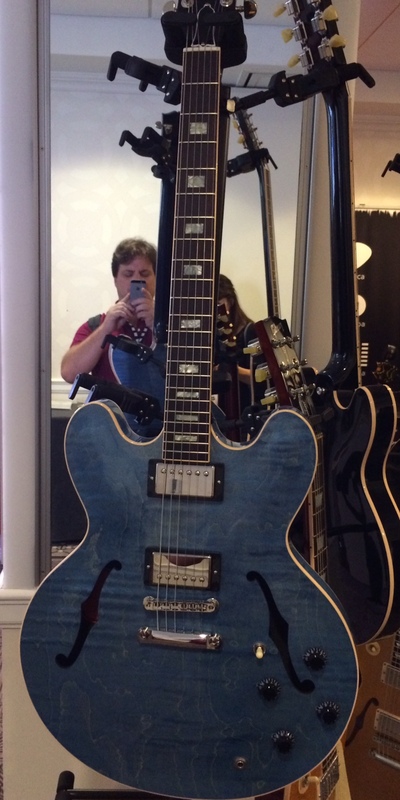 There are no virtuoso moments – guitars scream at you with gusto as to announce that the show has begun. Things move into a different direction with “Aokigahara,” a trippy tour-de-force in which electronics plays a central role around guitars and jazz-inflected drums. My personal favorite is “Black Sand,” a tune that is quite surprising. A gentle piano starts the song out, and then for a while the song evolves into a progressive-style ballad. Around the fifth minute things completely change and things become much heavier with a greater emphasis on guitar and drums. “You Knew I Was A Snake” begins with a snippet of a Spanish-language oath of office of a Mexican president (not sure who that was, but by the sound it seems like something quite ancient) that introduces an uptempo number based mostly around keyboards. I have run into band member Enrique Jimenez various times during the annual Latin Alternative Music Conference in New York City, but they have never (to the best of my knowledge) participated in any of the showcases. I think it is time for the organizers to give these guys a shot, because it is clear their time has come.